Qatar Airways has launched a new service for Business Class passengers, allowing them to pre-order their preferred meal up to 24 hours before departure on select long haul flights. The service will be limited to flights departing from the airline’s hub at Hamad International Airport in Doha for the foreseeable service. In a statement, Qatar Airways said the new pre-select dining option was a “bespoke service for its premium class passengers” that would give “even more choice and freedom.” For now, destinations that will feature the new service include select services to Europe, North and South America, Australia and New Zealand. The airline plans to add more destinations in the coming months. This could be seen as a fairly limited new offering as Qatar Airways already offers a dine-on-demand service for all of its Business and First Class passengers. Essentially, the airline is now allowing passengers to ‘reserve’ their meal of choice without any fear of it running out onboard. Passengers wanting to take advantage of the service can pre-order one entree from the à la carte onboard menu from between 14 days to 24 hours before departure. 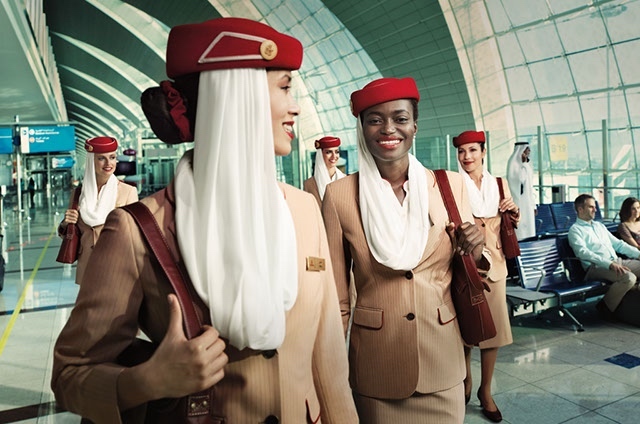 The order has to be placed through the passenger’s booking via the Qatar Airways website or mobile app. And that’s not all – In April, Qatar Airways won the title of Airline with the Best Business Class at the Business Traveller Middle East Awards 2017 and in March, Qatar Airways bagged the Airline of the Year award at the 2017 Air Transport Awards. Yet, Qatar Airways hasn’t recently won any awards for its onboard dining and this new service is unlikely to change that. Turkish Airlines, who have an onboard chef on some of their flights won the Skytrax award for Best Business Class Onboard Catering in 2017. That being said, Qatar Airways is touting the service as giving passengers “comfort and knowledge that their pre-selected dish is reserved and waiting for them.” Unfortunately, there won’t be any additional dishes added to the menu for the time being but perhaps the airline will consider expanding their range in the future.